Ab immediately available Apple's fresh red iPhones ready to order. As can be seen in the video, the new color can look real. Nothing has changed technically, but the anodized aluminum is impressive. 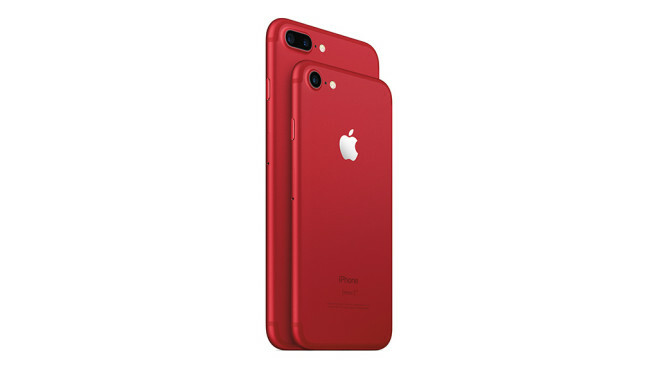 The new "(Product) Red" models are an iPhone 7 and an iPhone 7 Plus in chic red. The new model is not available in the basic version with 32 gigabytes of memory, but only 128 gigabytes. This increases the entry price for this special color to 869 euros - just like the iPhone 7 in diamond black. Technically, the red iPhone does not differ from other iPhone 7 models. The biggest difference is the color as well as the charitable thought behind the device. Because every purchase helps the "Global Fund"
The iPhone 7 in Red is available in four versions: The 4.7-inch version is available with 128 and 256 gigabytes of memory (869 and 979 euros), the Plus model with 5.5-inch screen also offers optional 128 Or 256 gigabytes (1,009 and 1,119 euros). If you want to secure a red iPhone 7 (Plus), has now the opportunity to place an order in the online shop and in the branches. This is not a limited edition - an order at a later date is therefore possible without any problems. Product Red is a special product line from Apple. For ten years now, there have been certain products in red, giving the opportunity to donate part of the purchase price to the aid organization "The Global Fund". The work of Red provides life-saving HIV / AIDS programs in Africa, where more than two-thirds of HIV-infected people live worldwide. The "Global Fund" HIV / AIDS scholarships consist of programs for counseling, testing, prevention and the prevention of transmission of the virus to mothers and their children. Since its inception in 2006, Red has generated more than $ 465 million for the Global Fund, of which $ 130 million has been contributed by Apple alone.